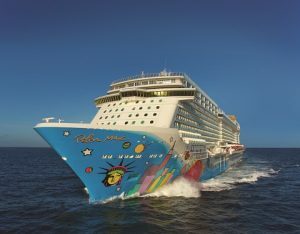 CRUISE specialist ecruising.travel is offering discounts of more than $6000 per person twin share on its 25-night cruise holiday package on board the luxurious Norwegian Breakaway from Copenhagen to New York with port visits in Germany, Estonia, Russia, Finland, Sweden, Great Britain, Ireland and Portugal. With plenty of time to relax at sea, this interesting itinerary also includes an overnight stay in St Petersburg in Russia allowing passengers more time to immerse in this captivating historical city and visit sites such as the Winter Palace, St Isaac’s Cathedral, Peter and Paul Fortress, Hermitage Museum and much more. Now priced from $6999 (was $13,459) per person twin share, the package includes return economy airfares from Australia, 23 nights cruise accommodation and meals, on-board entertainment, hotel accommodation, transfers in New York and Copenhagen and port charges and government taxes. The package is for sale at discounted prices until January 31, 2018 and departs Australia on September 22, 2017. For more details check out the new website www.ecruising.travel or call a cruise specialist on 1300 369 848.